Even though the new year is well on its way, Christmas season remains in full swing. 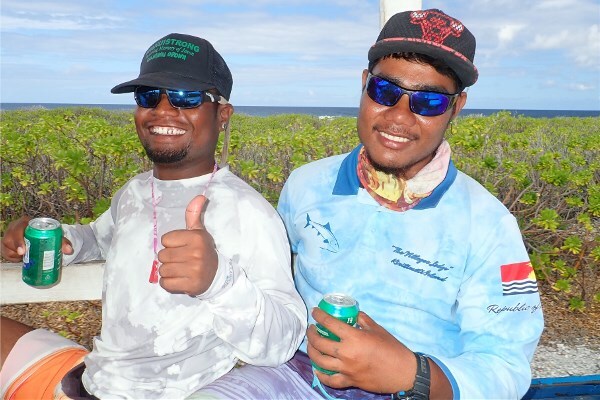 I'm referring to Kiritimati of course, and every week dozens of eager anglers are making their voyages to the island in search of big fish and good times. Here are a few quick tips that have nothing to do with fishing but should help every angler have a better experience down there. Exchange your cash. Kiribati uses the Australian dollar as their currency. Right now, the $1 US is worth something close to $1.40 AUS. 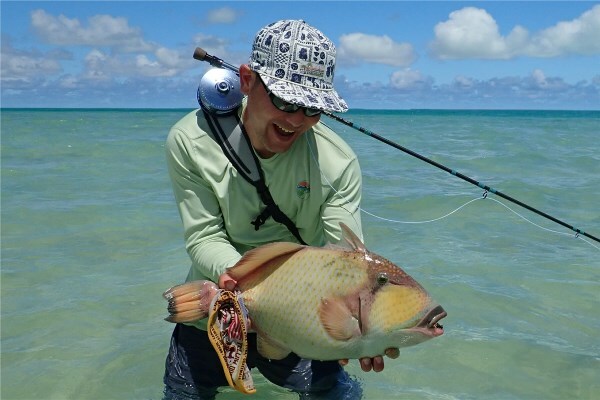 This means significant savings to you as a visiting angler. Prices for goods on the island are the same whether in $US or $AUS. So don't expect a discount if you use $US, but if you exchange your cash ahead of time, you can save hundreds on the cash you leave on island in the form of tips, fishing license, and beer money. The last time I was on island the airport charged $55 AUS vs $50 US for a fishing license. This complete disregard for the exchange rate was confirmed by the stores, bar, and guides I paid in $AUS at significant savings. Do yourself a favor and exchange your cash in advance and feel free to tip generously, buy a round of beers, and still save a few bucks in the process. Avoid salt rash. 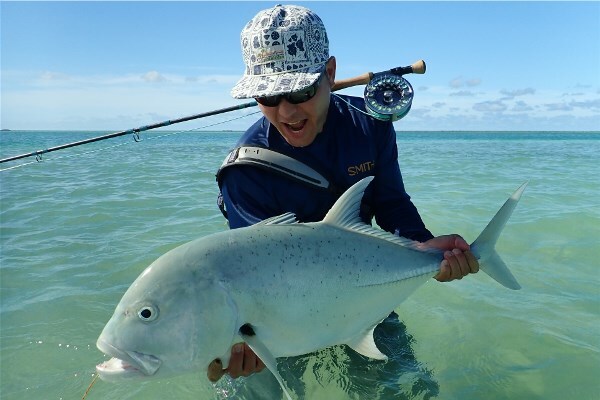 When you fish the flats on CXI, the usual routine involves dropping you off on a particular flat where you will fish for a few hours to best catch a tide. Because the guides don't want to scrape their boat on the shallow flat, they will often stop in three feet of water where you are expected to hop off and then quickly move into shallow water, knee deep or less. But because you are now damp and salty from the waist down, the miles of walking you do will provide ample opportunity for your nether regions to develop a chafing akin to diaper rash if you aren't prepared to prevent it. 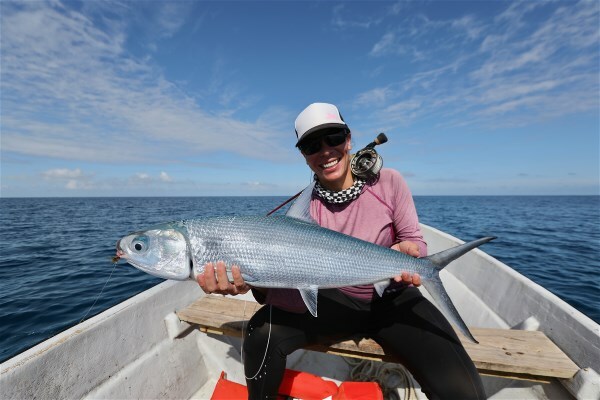 I personally wear seamless compression shorts as underwear while fishing which prevents said chafing, but other anglers I know use a substance called "Glide" which you can find in runners shops to also prevent it. It looks like a stick of deodorant, but helps runners, triathletes, and fishers to prevent a painful rash. In the case of salt rash, a pinch of prevention is worth well more than a pound of cure. Make the best of lunch time. The lunch you will eat each day on CXI is usually a ham sandwich made with locally baked bread, yellow cheese, and ham of various origin. The Christmas Island bread is interesting, and when it's fresh it's not bad at all. It's chewy and involves coconut milk with provides a different taste and texture than plain old white bread. The problem arises when the bread gets stale towards the end of the week, and often won't stay in one piece as you try to eat it. A simple solution is to bring a bag of tortillas with you to swap out for the bread if it starts to get stale. You can wrap up your sandwich ingredients, bacon and egg breakfast leftovers, or if you've caught some tuna offshore the day before, even fresh tuna salad in a tortilla and have a great alternative to crumbly bread. You should also bring some snacks like jerky, energy bars, nuts, or cookies to augment your lunch as it is the least substantial meal of the day and you will be burning lots of calories as you walk the flats and hopefully fighting the fish of your dreams.